As they committed to open churches and mosques to children with HIV and tuberculosis, Christian and Muslim leaders in Kenya urged global pharmaceutical companies on Tuesday (Nov. 20) to manufacture more medicines that are friendly to children. The call came on Universal Children’s Day, established by the United Nations in 1954 to promote international awareness of children’s issues worldwide and improve their welfare. Faith leaders, government officials and activists gathered with groups of children from across Kenya to focus on pediatric HIV and TB treatment, diagnosis and general support for children. “The medicines for children are needed I would say very urgently, but we are happy to see some companies starting to manufacture the medicines. This is encouraging. 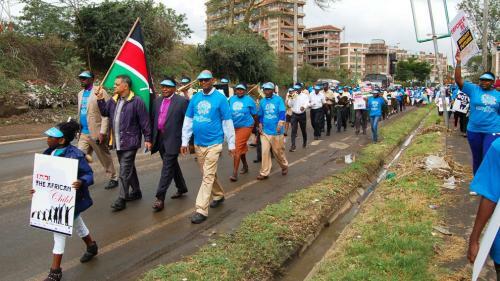 We urge the companies which have not started to do so,” Pentecostal Bishop John Warari Wakabu, the national chairman of Kenya Christian Forum, told Religion News Service during a procession in Nairobi. Refer to the original article here.